This Scott family almost certainly came over from Scotland during the Ulster Plantation. As far as I can see three Scott families came over to Ulster during the plantation (all from Ayrshire?). One family went to Donegal, this was Thomas Scott who is recorded leasing land from James Cunningham in 1613. Despite being called Thomas, he is probably not related as the Tullyquilly Scotts would have probably been only in Down or Antrim. Another family came to Londonderry and Enniskillen. This was Alexander Scott. Yet again, I feel that this is too far afield to be of the same Scott family, plus Alexander has not stayed as a family name. A third family came to Down or Antrim. This could be the family the Scotts of Tullyquilly descend from, though many families came over later on or were not recorded. 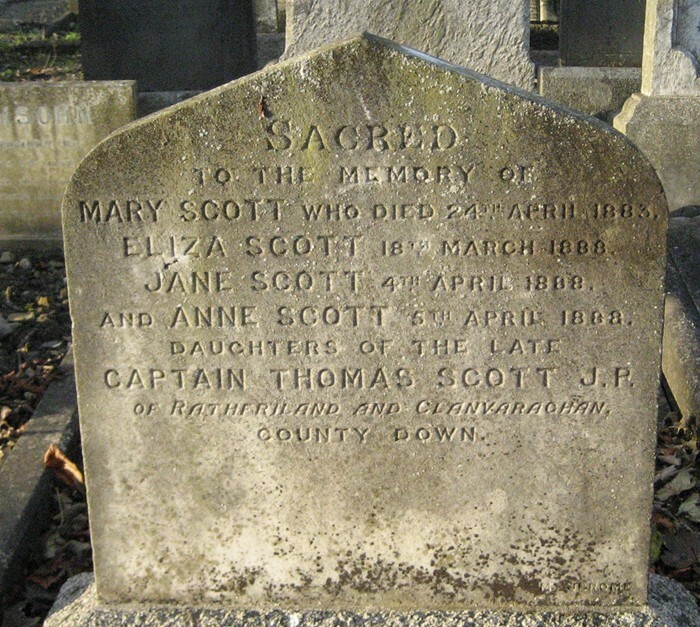 This family that came to County Down or Antrim were: John Scott, Margaret Scott (John's wife?) and Widow Scott (John's mother? ), they came over in the 1600's (1606?). The Scott family that resided in the townland of Tullyquilly is the earliest I have traced the Scott family. For a brief outline done by a distant Scott relative of mine (3rd-5th cousin 3x removed) in America, check out 'The Family of Thomas Scott and Martha Swan Scott: A Century in America'. 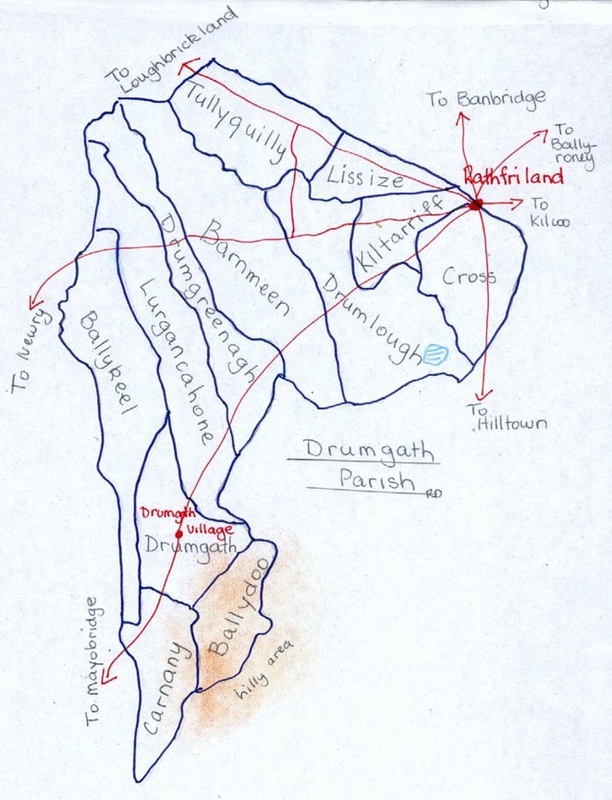 Tullyquilly lies roughly 3km west of the town of Rathfryland, now Rathfriland, and is in the civil parish of Drumgath. The townland is reported to be 250 acres (U.S) or 461 acres (Irish?). 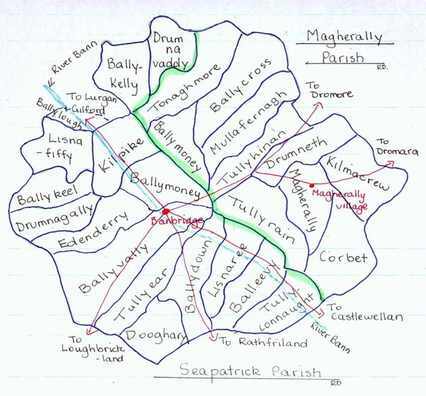 See the image below for Tullyquilly's location in the parish of Drumgath. My research so far on the Scotts has been conducted almost entirely over the internet. With so many records having been burnt it is difficult to find out much about them. Thanks to Ros Davies website, Co. Down Ireland Genealogy Research Site, I have been able to find some records of wills of early Scotts. I should mention that some of the following traces are pure speculation with little or no evidence to back them up. The earliest reference I have found to a Scott in Tullyquilly is the will of one William Scott in 1719. I assume William to be the ancestor of all the following Scotts mentioned on this page. 'The Family of Thomas Scott and Martha Swan Scott: A Century in America', mentions that a Scott ancestor fought at the Battle of Boyne, I again assume this is William Scott being referred to. A Century in America goes on to say that three Scotts, probably brothers, were renting lands in Tullyquilly in 1732. These three brothers, George, James and John, are probably the sons of William Scott. I speculate that two of these brothers, and maybe the third, had children and from them descend different branches listed below. The pedigree below is based partially on fact and partially by guessing who was son of whom. 1. George Scott (c.1695-) m. ? 1. George Scott (1723-1800) m. ? 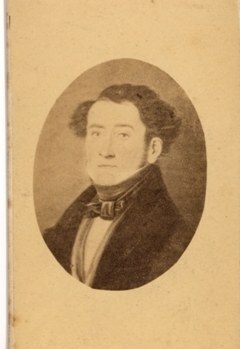 Thomas Swan Scott, his wife and his twelve children moved to Illinois, America. Descendants live on today. The Scott family of Loughbrickland are almost certainly descended from the Scotts of Tullyquilly. As there were three brothers in Tullyquilly in 1732, it is highly likely that they, or their issue, would have moved away from Tullyquilly. The Scotts in Loughbrickland and the Scotts of Clanvaraghan possibly both did this about mid 18th century. We know that James Scott of Loughbrickland was born in about 1761 and had at least one brother, Thomas Scott of Rathfriland. Other brothers may be: William Scott of Rathfriland (-1815) and George Scott of Aghaderg, mentioned in the Irish Flax Growers list of 1796. There was also a John Scott in Newry, who was mentioned in the Flax Growers list. Whom James Scott of Loughbrickland's parents are is not known, but his father could be one John Scott, also of Loughbrickland. James Scott sponsored emigrant ships to America from 1794-1796, there was also a John Scott sponsoring ships in 1793. It is possible that this John Scott is James' brother or even father and that he died in 1793 so James took over the sponsorships. 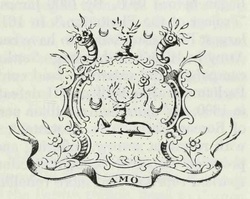 James Scott of Loughbrickland married Jane Hamilton, daughter of Robert Hamilton of Mintlone (now Monclone) by his second wife, possibly Esther Conyngham or Jane Pennington. James' son, James Scott of Bloomhill, married Eliza Newton, his half 1st cousin through Robert Hamilton and his first wife, Beatrice/Elizabeth Walkinshaw. See Scott of Bloomhill. The only other child of James of Loughbrickland who made it through to adulthood was William George Scott of Rathfriland. See Scott of Rathfriland and Warrenpoint. 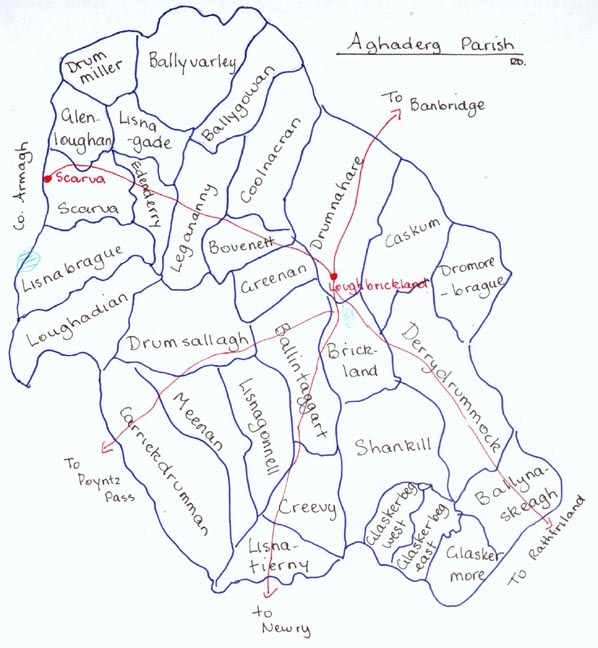 James Scott of Loughbrickland rented the townland of Colnacran or Coolnacran in the parish of Aghaderg,and the townlands of Tullyear and Duchery (or Dooghary?) in the parish of Seapatrick. See below for there locations in the parishes. It is possible that the Loughbrickland and Clanvaraghan Scotts descended from on of the three Scott brothers who rented land in 1732. 1. John Scott (c.1730-c.1793) of Loughbrickland m. ? Please note that James Scott of Loughbrickland could be a much closer relation to the Tullyquilly Scotts, it is possible that George Scott of Tullyquilly (c.1760-1811) was not his second cousin, as I think most likely, but his first cousin or even brother. The first known Scott of Clanvaraghan is Thomas Scott (1772-1842). It is unclear, as I have mentioned several times already, whether there were two Thomas Scotts around at the time or not. Let us assume that there was just one. 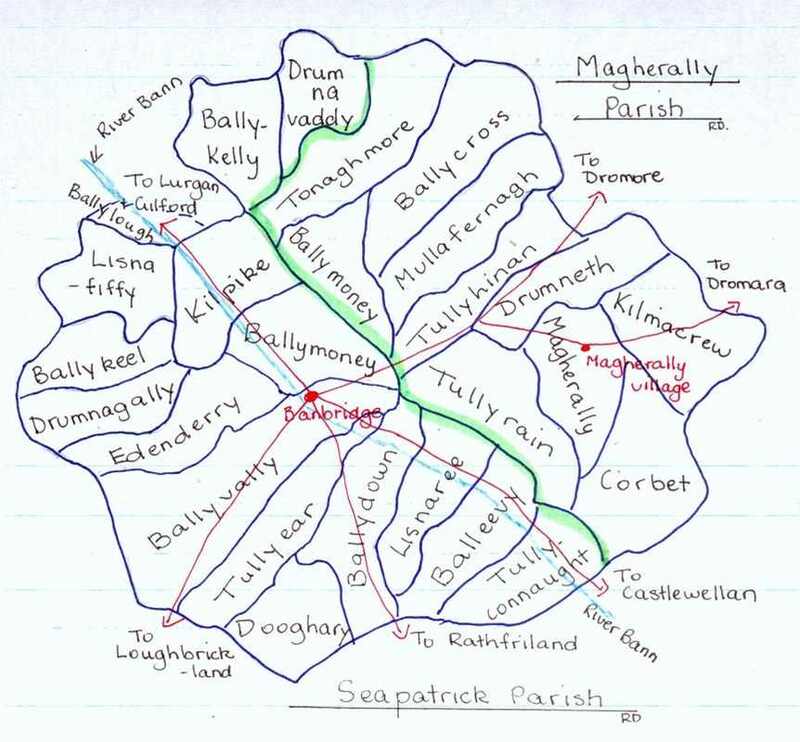 We know that Thomas Scott moved from Clanvaraghan to Castle Hill, Rathfriland. This contradicts George Scott's information in his book, though, additionally, information in his own book also contradicts itself. 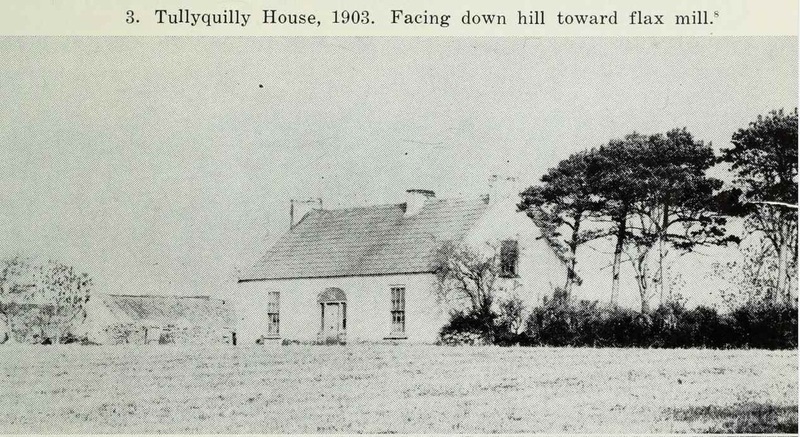 George Scott first writes that there was a Scott family in Streamvale, a house also in the townland of Tullyquilly, who lived there from 1811-1867. However, he then goes on to state the the first Scott of Castle Hill was in 1806. We must therefore assume, as we have additional information, that Thomas Scott was from Clanvaraghan not Streamvale (or Streamville? ), and that he moved to Castle Hill in 1806. George Scott lists Thomas Scott as a brother to his ancestor George in his book, it seems odd that this would be a mistake, especially since he seems to know so much about the building of Thomas Scott's house on Castle Hill. However, I am also fairly sure that Thomas Scott was brother to James Scott of Loughbrickland, as James Scott of Bloomhill mentions his cousin, Thomas Scott Jr., surely the son of the aforementioned Captain Thomas Scott and father to Captain Moonlite. Another reason that makes me confident of this fact, is that James Scott of Loughbrickland's grandson, James Scott of Rathfriland and Warrenpoint ends up owning lands in Clanvaraghan, possibly because all of Captain Thomas Scott's male descendants went to New Zealand so the lands were left or sold to James Scott, Captain Thomas' nephew. Moving off the topic of how these Scotts link up, I will now focus on what we do know about the Scotts of Clanvaraghan. Note: These four sisters moved first to Bray, Co. Wicklow, then to Dublin, where they are buried in Mount Jerome Cemetery. 2. Thomas William Scott (1845-12/08/1894) m. (15/08/1873) Louisa Charlotte Budd Lonsdale (16/10/1848-10/10/1921) and had issue. Descendants live on today. 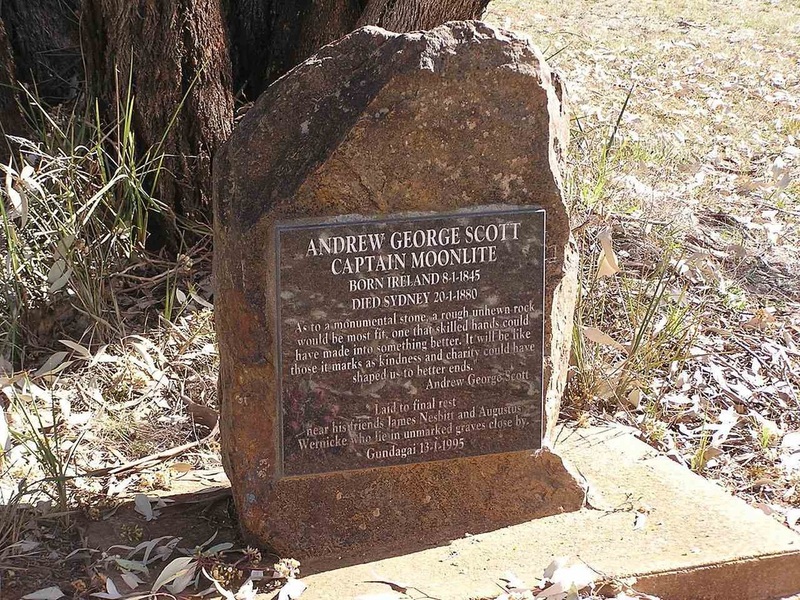 Andrew George Scott was the infamous Australian Bushranger, Captain Moonlite. For details of his life, I refer you to that great fountain of knowledge that is Wikipedia. An interesting thing about the Wikipedia article is that it says his father was of Scottish descent. This can be disregarded as nonsense, as the Scotts had been in Ireland for about two centuries before his birth and so definitely classify as Irish. 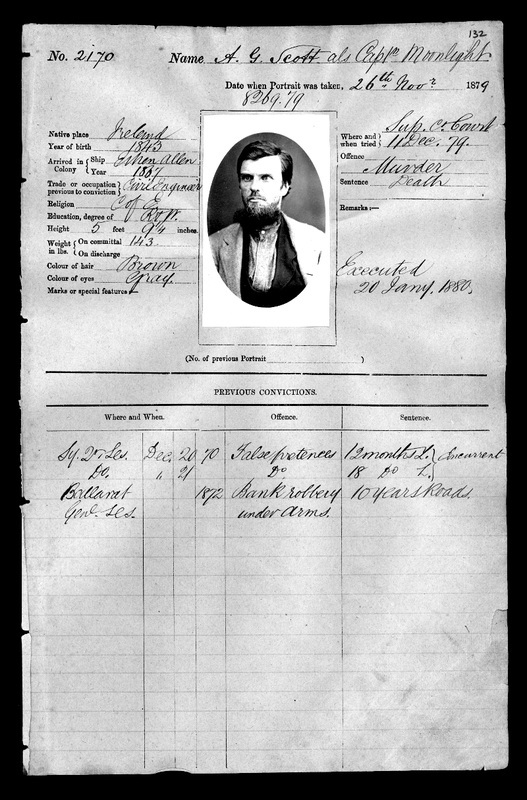 Captain Moonlite was eventually caught and hanged for murder in Sydney. Andrew George Scott had no issue. He is buried at Gundagai Cemetery. The date of birth on his gravestone may be wrong, there seems to be inconsistency across family trees as to his brothers date of birth as well. It is possible that some of the dates are christening dates. However, as these records are now probably burnt, there is no way of checking. William George Scott of Rathfriland was the younger of James Scott of Loughbrickland's two surviving children. He was possibly brought up by the Scott in Rathfriland, maybe by his uncle Thomas Scott. William George Scott's brother James Scott of Bloomhill was possibly brought up by his half Aunt Margaret Newton (née Hamilton) and with the rest of the Newton family. The reasoning behind this is that William George Scott remained a Presbyterian, whilst James Scott became an Anglican, the religion of the Newtons. 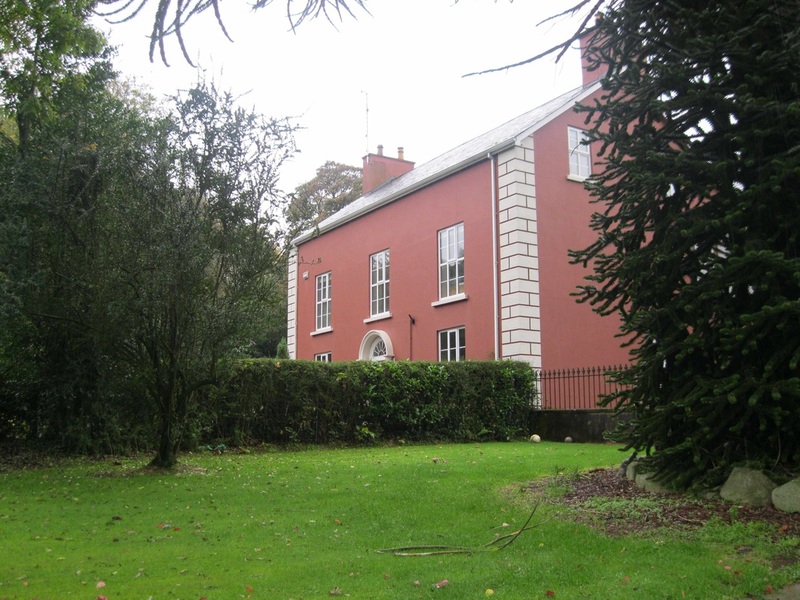 The Scott family of Bloomhill is descended directly from the Scott family of Loughbrickland, with its progenitor being the son of James Scott of Loughbrickland (c.1761-1803). Bloomhill House (pictured at the top of this page) is situated in the County of Tyrone, just north of the village of Newmills. James Scott, the son of James Scott of Loughbrickland, married his half cousin, Eliza Newton, in 1820. Three years later he purchased the lands of Bloomhill, otherwise Bloomhill Demesne, and the surrounding townlands of Glencon, Stugahan, otherwise Stughanbeg, Blacktown, Whitetown and Drumard. These 927 acres were owned by the Scott family for the next 53 years, until the Scotts moved into the Pikes estate of Beechgrove. 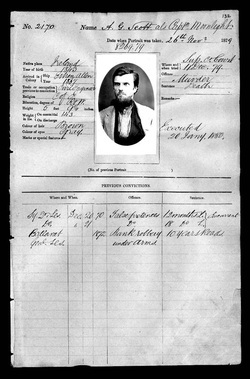 James Scott first made his will in 1836 and listed his cousin Thomas Scott Jr. of Rathfriland as one of the executors, this is probably the father of Andrew George Scott or 'Captain Moonlite'. James Scott had eight children, four sons and four daughters. The eldest son, Thomas, moved to New South Wales and died there in 1858, predeceasing his father. James, being a man of modern thinking, decided to change his will a divide his money equally between his remaining children. 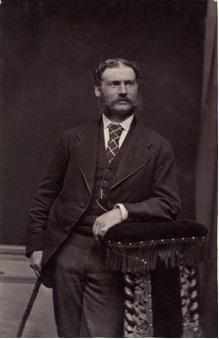 One of James' sons, James Hamilton Scott, moved to Bulla, Australia and married Alice Swindell. They had no issue. Another of James' sons, Andrew Newton Scott, married Sarah Ann Inglis, they also had no issue. With none of James' daughters marrying, his youngest son, Robert William Scott was the only one of his children to have issue and to continue the Scott line. Beechgrove, first owned by the Pike family and then passed down to the Scotts. 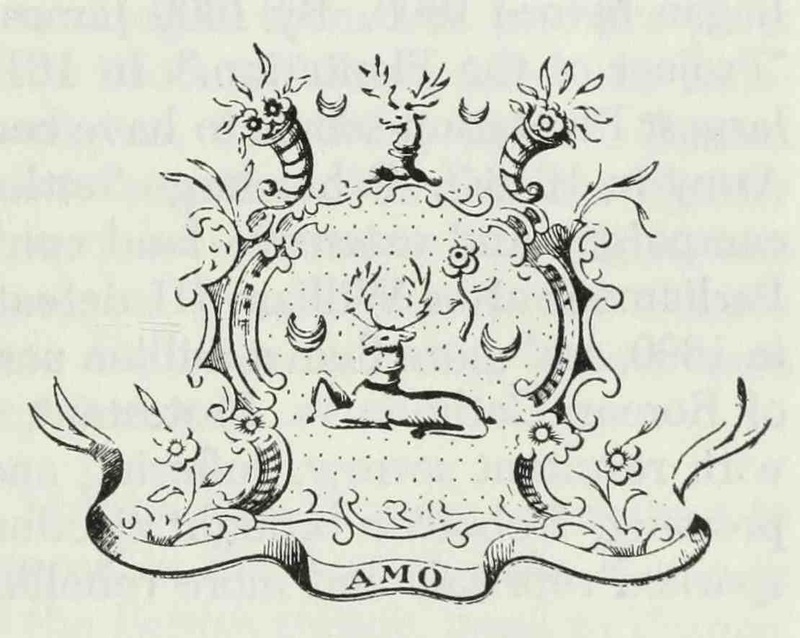 Isaac Scott (of Tullyquilly?) - Witnessed a land transaction, involving a Swan, at Tullyquilly in 1770. Edward Scott - Mentioned in a deed on 09/05/1781 concerning Samuel Swan and his son. More Swan connections again. George Scott, parish of Aghaderg in Flax Growers list 1796.